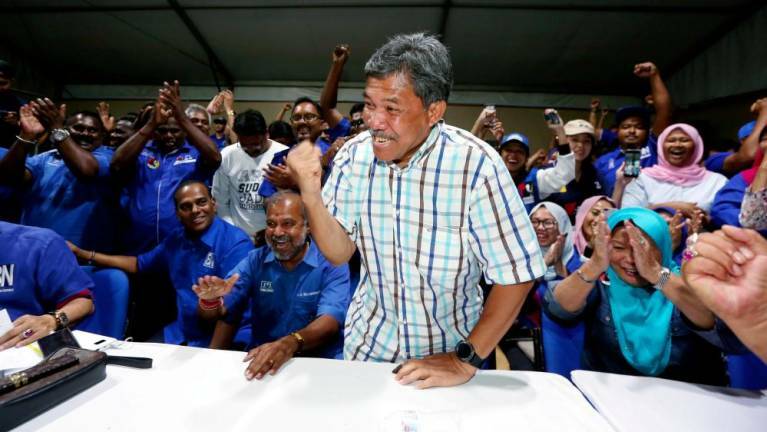 14 Apr 2019 / 19:53 H.
KUALA LUMPUR: From the word go, it was quite clear that Datuk Seri Mohamad Hasan was the man to beat in the Rantau by-election. He had everything in his favour, being the local boy, a three-term incumbent and former mentri besar of Negri Sembilan. Added to that is his charm that has endeared him to the locals. His main challenger, Dr S. Streram of Pakatan Harapan (PH), despite his good intentions, had everything stacked against him. He’s not a local boy, so he depended heavily on PH bigwigs to woo the voters. At times, he even seemed incompetent, according to Azlan Zainal, chief executive officer of research firm Ilham Centre. The fact that he forgot to bring along his identification tag to file his nomination papers for the 14th general elections last year did not do him any favour. 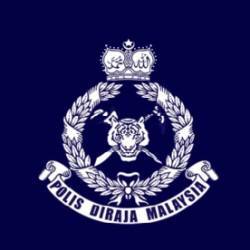 It was through that oversight that he gave Mohamad, popularly known as Tok Mat, the seat on a silver platter. 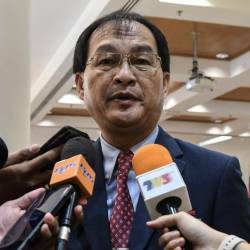 He didn’t do much better on his second attempt, losing to Tok Mat by a huge 4,510-vote majority. The perception — real or otherwise — of PH’s failure to fulfil its election promises also worked against Streram. Therefore the result, as many analysts said, was no real surprise. As Assoc Prof Dr Jeniri Amir pointed out, the prominence of Mohamad’s name in the constituency meant that there was little PH could do to sway to votes in its favour, regardless of who was picked to contest. 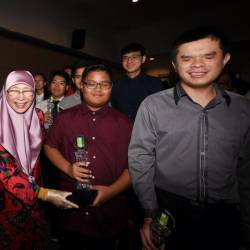 “He is a local boy, knows the sentiments on the ground, is perceived as people-centric and is well-liked because of his unassuming and humble character, even among the non-Malays,“ Jeniri said. “All the people wanted was real change, and Rantau was their way of showing it,“ he added. Another analyst, Prof Dr Mohd Azizuddin Mohd Sani expected Mohamad to win but be was nonetheless surprised by the landslide victory. “I only expected him to win by about 1,000 votes. This shows that he even got the Chinese and Indian votes,“ he said. More than that, even the younger people voted for BN, according to Ilham’s Azlan. “As a voting bloc the young are usually the fence-sitters. They will critically assess each party’s performance and choose what’s best for them,“ he said. He said the result showed that they rejected PH for its poor performance after almost a year in power. Political analyst Dr Ahmad Atory Hussain said the youth were mostly educated and exposed to social media and that made their votes dynamic. “They are not loyal to one party or another. The choose the one that best serves their interests,“ he said. But, according to Azizuddin, it would be an error to write off PH now. “It remains strong and is still a firm favourite to win the next general elections,“ he said. Rantau, he added, would be a reminder that it was the people’s power that sank BN in the last elections and it could just as easily pack them off. Both Azlan and Jeniri are in agreement that PH must change to turn its fortunes around. “They should stop blaming BN for their own failures,“ Jeniri said. Azlan said the next step for PH was to address issues such as economic growth and fluctuating prices of goods. “They also have to show that they are capable of managing the Malay-Islam issues, yet still ensure the well-being of the other races,“ he added. Mohamad won the seat after securing 10,397 votes to defeat PH’s candidate Streram and two independent candidates, R. Malarvizhi and Mohd Nor Yassin, who garnered 5,887, 83 and 79 votes respectively.